Oh my the zoo got an email address that you had to know the person before you got the reference. Although unique for a free service it did not impress us and looked a bit foolish. domain.tld Oh well i am sure that works in retard land. Looks like a virus thing if i showed you the from address which I munged. No email made it into the zoo. Clueless retards can make your day I grade them a+ for retardedness. Elance.com: Sometime in 2009, staffing platform Elance suffered a data breach that impacted 1.3 million accounts. Appearing online 8 years later, the data contained usernames, email addresses, phone numbers and SHA1 hashes of passwords, amongst other personal data. Onliner Spambot (spam list): In August 2017, a spambot by the name of Onliner Spambot was identified by security researcher Benkow moʞuƎq. The malicious software contained a server-based component located on an IP address in the Netherlands which exposed a large number of files containing personal information. In total, there were 711 million unique email addresses, many of which were also accompanied by corresponding passwords. Again this might just be email addresses or mail server info say mx.zoo but cannot confirm and sounds very much like Robert Soloway had something to help them. Soloway was the first use of the can-spam us legislation of which i and few others kept tabs on before the tfc and fbi got interested, I know more about him and his background that is perhaps healthy to know and still regard him as scum. Anyhow i suppose this is good news since there a huge numbers of breached servers out there like credit checkers and ashley Madison. So how many data breaches do you show up in? The zoo prefers its email non junky (my blog) so we report those that get through to a reporting service. Now just because you found an email address on our website does not mean we signed up to offers. Much to my surprise* zenlayer.net seems to have passed on my report to there client and so they decided to send me another ten spam messages which our server correctly identified as crap and where not seen i am generally ok to it let it deem good from bad.. The message i reported was missing a font html target so you can also add that to the crimes of lenlayer.net mime abuse. Being me i also blocked zenlayer ranges. I guess i should unsubscribed from the emails we never asked for but is the right way of your a scumbag like robert soloway and ilk. Anyhow zenlayer.net is a bit scammy and an isp to be avoided. Having also hurt zenlayer.net’s other clients being unable to send stuff due to the mallet (my blog) i feel happy so if your with zenlayer.net i suggest you move asap. So until the next server reboot we will not be hearing from them. rddmarc is not the best thing to store dmarc reports in [inbound] not outbound (my blog) out after i non google searched a way to import gz files in email into a database. What i found was that as the zoo runs a real mail server opposed to mail dumped in directory on a disk this is more complex than rddmarc could handle. 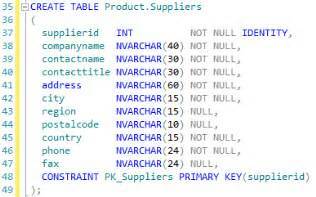 But there is a thing for that but it seems to use rddmarc for sql syntax. So pretty much a catch 22 not a bug in the eyes of everybody else. It does show the horrid compatibility of mysql and its forked versions of which mariadb is. I am a postgres fan and think poorly of mysql. I tried.and once again (my blog) i find that sql is the bottleneck. Is a simple website process to apply as usual you need a scanner as well as a pc. The fun and they know it begins as it triggers these email spam rules as they tell you to disable your email server protections rather than fix. When i was called out of the monkey house to fix this issue – I now know more about our spam filter than i ever wanted to. As to why there so special is something your have to ask them. Eventually i unwillingly disabled the zoo’s spam filter to let this email in, but i guess running a spam filter is banned in Cambodia. Do you (yes you*) want to email the zoo’s boss – well you can and somebody did email Cave (my blog) and his assistant who’s details are written in a page of html as a comment. I laughed when i saw the reject in the daily report since Cave does not work in the zoo.. These people or there clients tried to contact Cave and i must thank them for the early morning humour attempt. Lol somebody is an idiot – I imagine its on a spam list of ceo’s Its a shame one cannot neurotoxin spammers (my blog). Anyhow Elvis needs a contact next i think. We have tls email (my blog) and i am amused to see the log file seeing hosts without tls or it seems anything else try and connect to the secure port,sure yes its an ‘open’ port to try but i am sorry to say the checks for unencrypted email still stand you have to pass those too. While a number of ssl crooks (my blog) would sell them a certificate it does not mean anybody gets a free pass just because of tls. The world of email it seems is too hard for people or they are exceptionally lazy due in part to free email services and microshit. Its no problem it also has a limiter for idiots but full marks for telling us your idiots. Having recently blocked .pw (my blog) it seems the newly minted .website tld was asking for blocking too. I obliged them with a spam assassin rule. The moral being dont spam the zoo as all of you with .website spammers suffer. Being spam hosted by google for email is beginning to justify a block of google servers so it is not one sided.